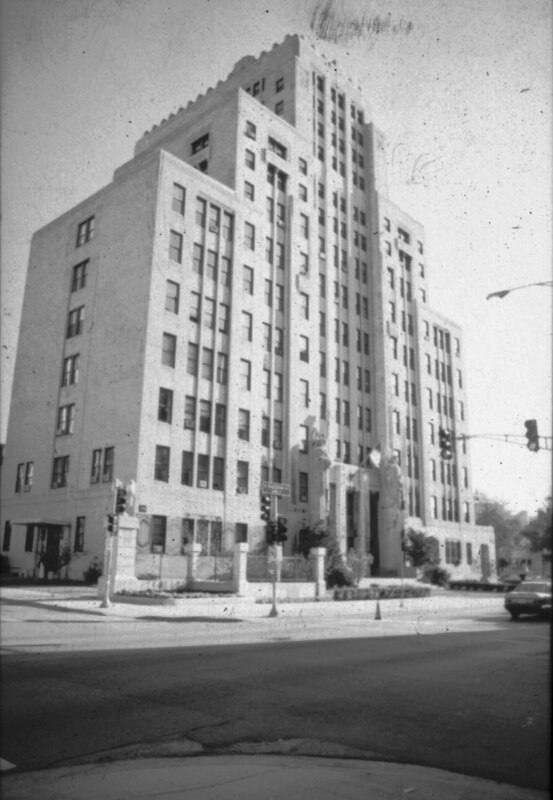 The Skyscraper Building of Mundelein College, now Mundelein Center for the Performing Arts, was built by Nairne Fisher of the Joe W. McCarthy Company in 1930 and is another great example of Art Deco architecture on the Lake Shore Campus. 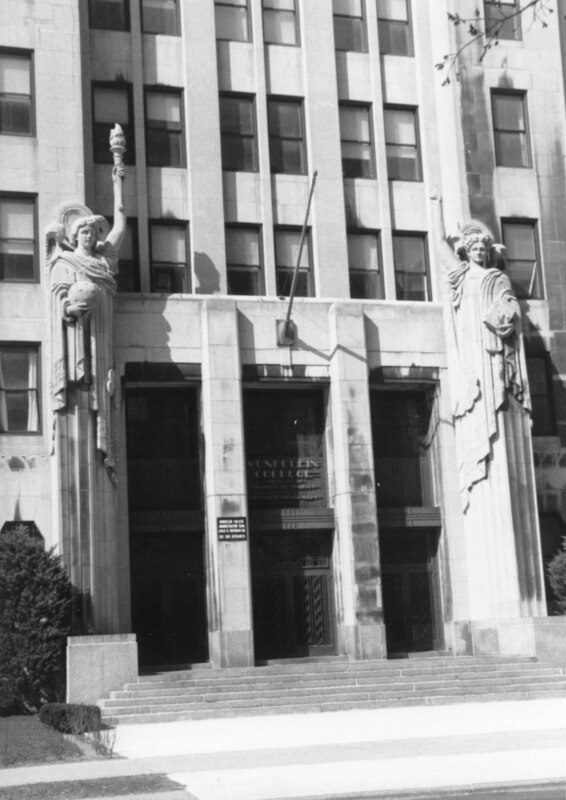 The angels on the facade are Uriel and Jophiel from Milton's Paradise Lost. 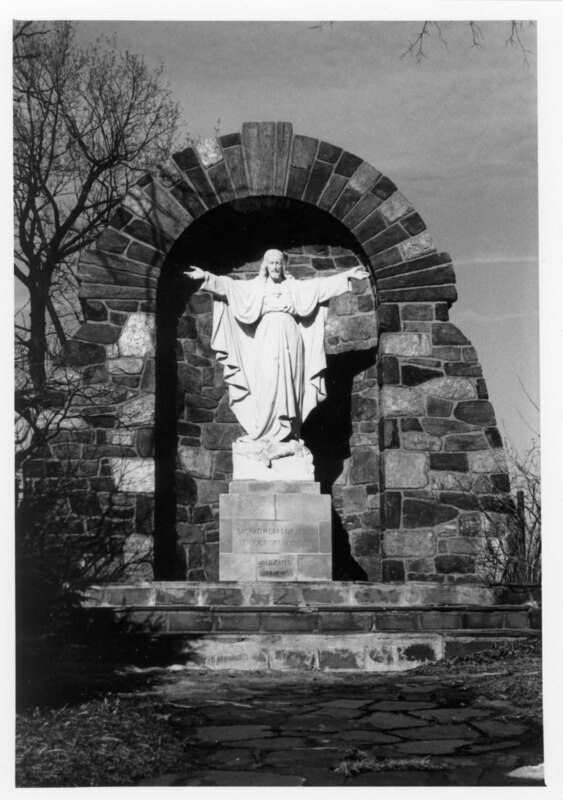 Near Mundelein Center and Piper Hall is the Sacred Heart Shrine erected by the Sisters of Charity of the Blessed Virgin Mary.